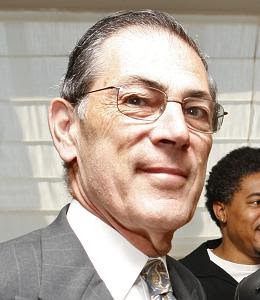 The New York Times has reported on the forthcoming retirement of Philippe de Montebello. Michael Kimmelman ("The Legacy of a Pragmatic Custodian of Human Civilization", January 9, 2008) has provided an assessment of de Montebello's time at the Met including these comments about the new display of antiquities. the new Greek and Roman Galleries, all 57,000 square feet of polished marble and skylight, unveiled in April — awful timing, with looted antiquities so much in the news, but a symbolic culmination to Mr. de Montebello’s legacy, which was never about celebrity architecture or fashion or political correctness. His ideal for the museum stressed the permanent collection, the public’s true heritage, and it entailed doing the difficult thing because it was right. There is nothing about the return of the Euphronios krater or the other antiquities to Italy. And not all would see him in terms of a "custodian" of world culture given his views on unprovenanced objects. Randy Kennedy has a more interesting piece, "Let the Horse Race Begin: The Search for a Successor" (January 9, 2008). In his list is James Cuno whose controversial views on antiquities are well known and similar to de Montebello ("Cultural property is a modern political construct"). A more interesting suggestion is Neil MacGregor, director of the British Museum. But speculation about a successor is like trying to work out the future US president after the result of the New Hampshire primaries. The Met is a great institution with major art and archaeological collections. It deserves an inspirational director. See Carol Vogel, "Patrician Director of Met Museum Will Retire", New York Times, January 9, 2008. "Mr. de Montebello ... has sometimes drawn criticism for a reluctance to embrace contemporary art and a dismissive attitude toward claims by archaeologically rich countries to objects they say were looted and sold to Western museums. Two years ago, however, he negotiated a pact to turn over 21 classical artifacts in the Met’s collection to Italy."